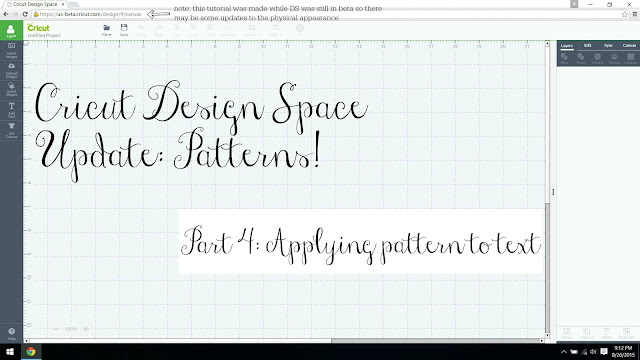 We've arrived at the final part of the 4 part series for the update to Cricut Design Space with using Patterns! 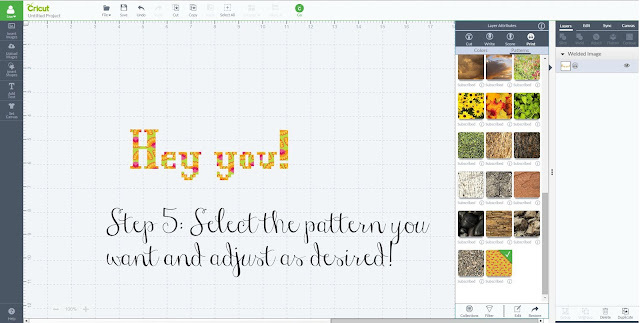 Previously, I've shared how to Find & Upload Patterns, Editing Patterns, and Slicing Patterns. 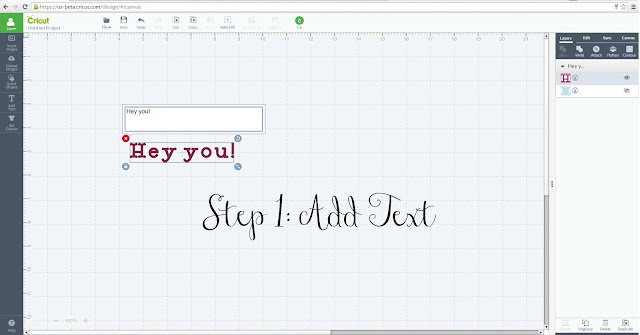 Now we're ready to figure out how to Apply Patterns to Text! First thing first - add your text! The option is on the left hand side of the screen. Select the text preview (the H in the first image on the right hand side) or select "edit" on the tabbed menu on the right hand side of the screen. That will allow you to change fonts and adjust size, space, etc. Edit to your liking! 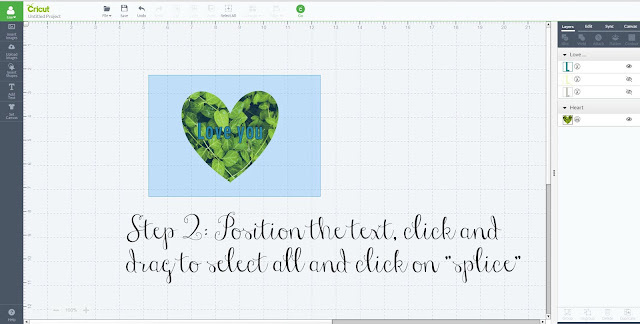 Next, click on the Layers tab and click on the letter to bring up the Layer Attributes menu. Then click "print" to make the text "print then cut." 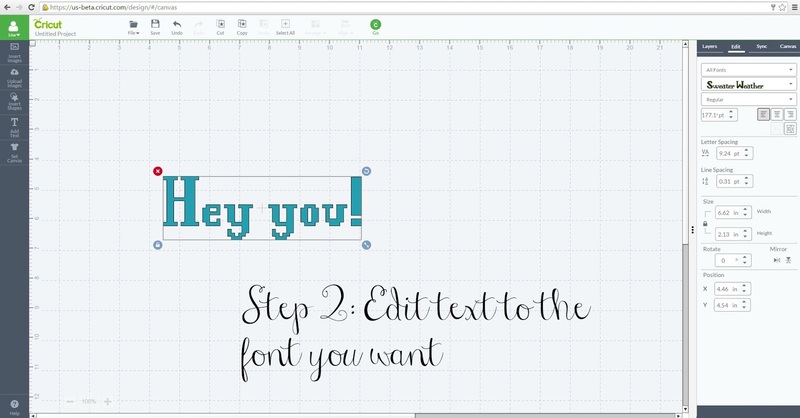 You'll have one last chance to make any edits to the font design or spacing here. If you're ready to proceed, click Continue! 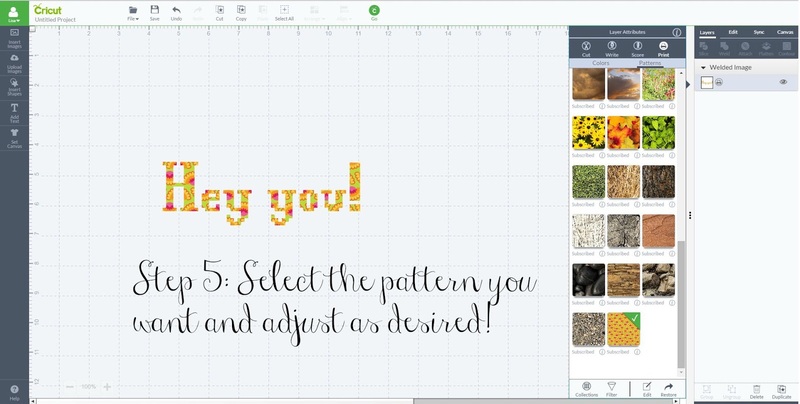 Now you can select any of the patterns included or upload your own. You can edit the pattern (see Part II of my series for details) if you need. 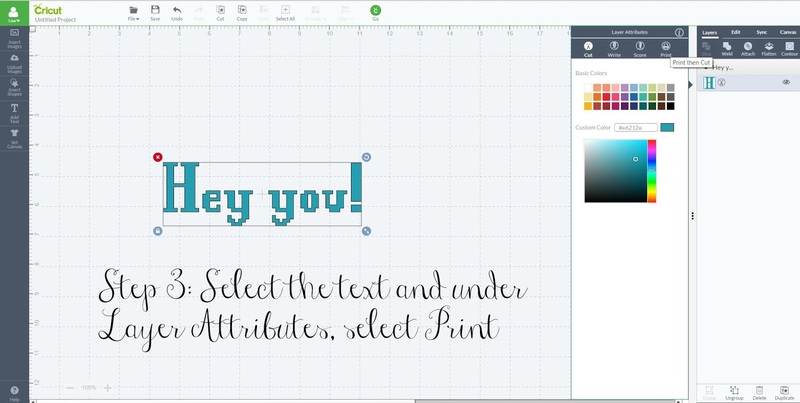 When ready, go ahead and print that beautiful patterned text! But what if you want to slice text OUT of a pattern? 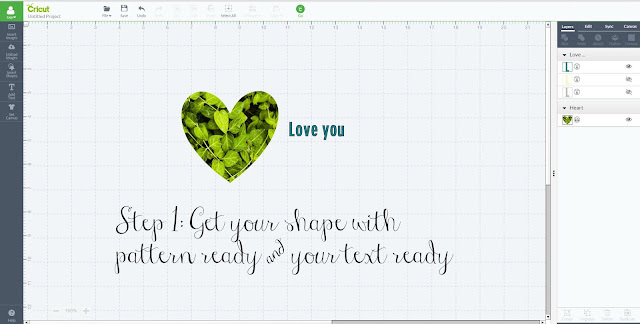 Get your shape ready with the pattern you want and get your text ready with the font, size, and spacing you're looking for. Details on how to do that can be found in Parts I and II of this series. You're going to slice like you did with Part III of the series - simply position the text over the shape where you want it, select it all, and click on "splice" on the Layers tab on the right hand side. 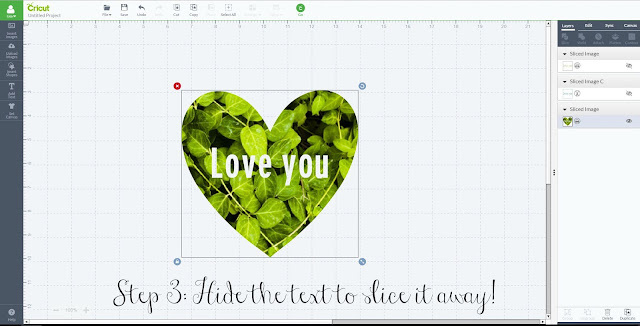 And like we did with slicing in Part III, you're going to "hide" the text by clicking on the eye for the appropriate elements on the right hand side on the layers tab. Adjust your finished product and print when ready! I hope you enjoyed learning more about patterns in the updated Design Space! Are there other things you're looking to do with patterns? Leave me a comment below and I'll make a new tutorial for other ideas!